It’s winter in Syracuse in NY, and although it has been a very mild winter, a nice bowl of chicken soup always feels good this time of year. I headed off to the grocery store this weekend to make a batch of chicken soup for the family. Obviously, one of the key ingredients in chicken soup is broth. Chicken soup recipes almost always call for chicken broth and if you are not going to make your own broth, then you need to purchase some in the store. 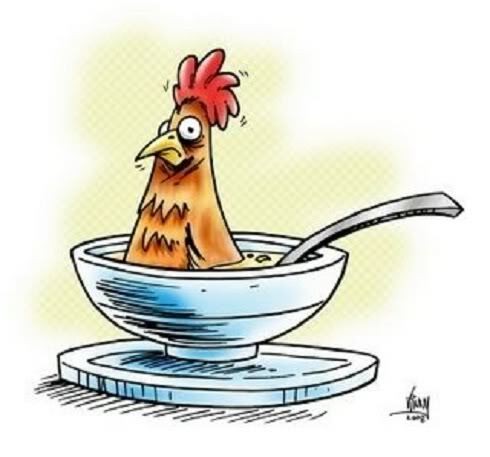 So I was looking at the sodium levels for every chicken broth brand I could find (including the one reduced sodium item), including those in the all-natural section of the store. On average, each product had about 500 mg of sodium per serving (some over 700 mg), with each product containing 4 to 5 servings. If you are making enough soup for a small family that means you will use about 24 ounces of broth. That translates to a whopping 4000 to 5600 mg of sodium in the soup, which is completely unnecessary. Then I picked up a box of low sodium vegetable broth, which only contained 140 mg of sodium per serving with 4 servings per 12 ounce box. That’s only 1120 mg of sodium for 24 ounces of soup. Compared to 4000 to 5600 mg of sodium for chicken broth, that is a big difference. So, I figured why not just toss all the ingredients into the vegetable broth, let the natural juices of the chicken cook out, which would then make the broth taste like chicken broth anyway, with much less sodium. I tried it out and it was a rousing success. The broth was delicious, was infused with the juices of the chicken, and best of all, I knew I was feeding my family something much healthier. Please pass this on to others, try it yourself and comment here on how it went, and feel free to pass on your own health eating tips for others. This one is very surprising. 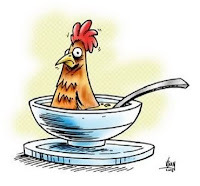 We never pay attention to High sodium level in chicken broth. Yours is a very healthy idea to add all ingredients in veg broth and minimize the sodium level. I will also try this one see that it taste better. Thanks for useful tips. Did Abraham Lincoln Have a Genetic Disorder? Did Physicians Kill George Washington?